Appalachian State's football team is ranked 25 in the AP Top 25. Two North Carolina schools are now ranked in the AP Top 25 in college football. 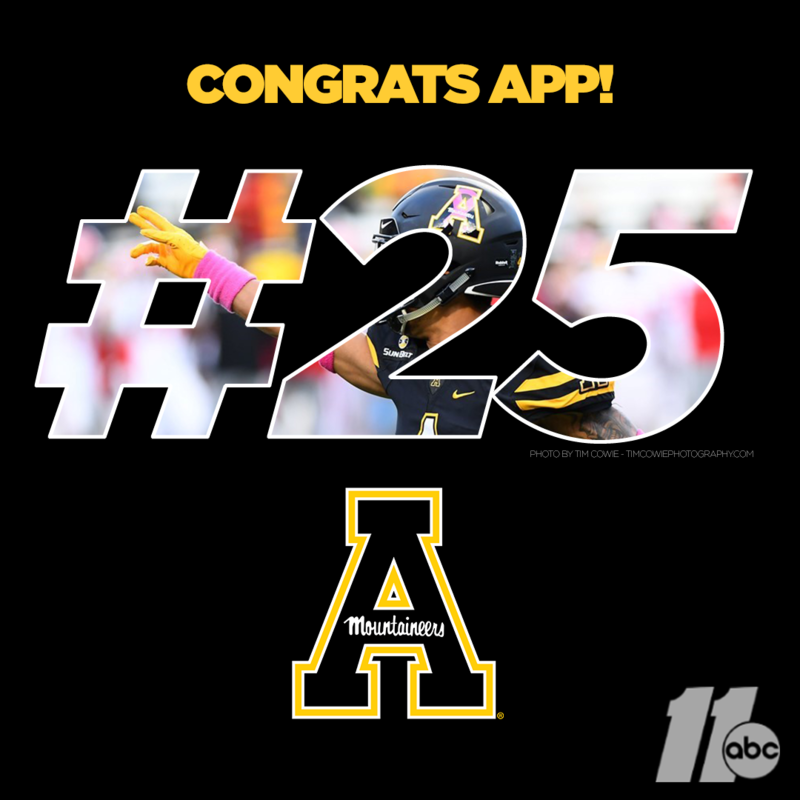 Appalachian State rose to 25 following the team's fifth straight victory. The Mountaineers are 5-1, with their only loss coming in the first game against Penn State University. This marks the first time in school history that App State has made the AP Top 25. NC State is the other school ranked. The Wolfpack fell to 22 after being handily beaten by #2 ranked Clemson. Ohio State took the largest tumble in the poll after a shocking defeat at the hands of Purdue. Click here for the full AP Top 25.